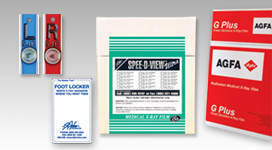 PDC Healthcare's Film Filing Supplies include mailers, negative preservers and more to protect sensitive patient records. We carry a wide assortment of Imaging Supplies including foot printers, newborn ID forms, positioning aids, and more to help accurately record patient information. 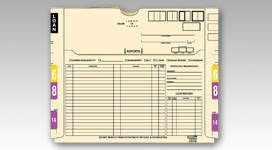 Our Film Accessories include X-ray markers, cassette holders and more to aid your medical staff in correctly labeling and viewing patient imaging records. 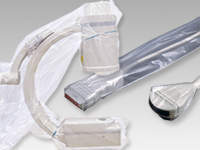 Equipment Protection tools like C-Arm drapes and X-ray tube covers help reduce spreading infection. 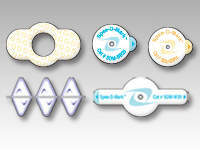 Cold Therapy products help provide patients comfort after a surgery, biopsy, or other procedure. 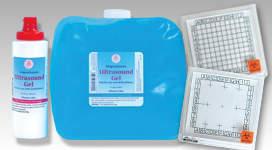 Personal Wipes help provide patient comfort before and after mammographic procedures. Skin Markers aid caregivers with accurately identifying reference points and points of entry.